After the MASSIVE success of our 2018 rally in this area with literally over 100 hammered coins and also roman finds we are giving you the chance to book your place with only a £10 deposit per person and the remainder can be paid at the rally with cash or contactless payment. You must bring proof of your deposit whether it is printed or on your phone as this is your ticket Once the 200 is reached the ticket sales will close so book up to avoid dissapointment. Thurs (After 1PM)/Sat & Sunday £60 + FREE CAMPING you can stay over until Monday and vacate the rally site by noon or earlier. NO detecting on Monday. Are Caravans & Motorhomes welcome. – Yes but you MUST have a Towing Eye located and know where it goes or we will not be able to get you out if you wheel spin or get stuck. When do we leave – You can leave anytime but you must vacate the Rally camp by 12 noon on the monday after the rally. Will we have water – YES but Always best to buy water and bring it with you. Does my partner who does not detect have to pay – NO you pay per detectorist. Can I rent a Detector – YES email Toddy for details PRIOR to the rally. How will I know how to get to the rally – When you buy a ticket via Paypal you will be sent a map a day or so before the rally –ONLY TO THE EMAIL ADDRESS ON YOUR PAYPAL ACCOUNT. Has our land been well detected – No we had one rally on it and it produced hundreds of coins and artifacts and we have new fields added. It will produce the same again. 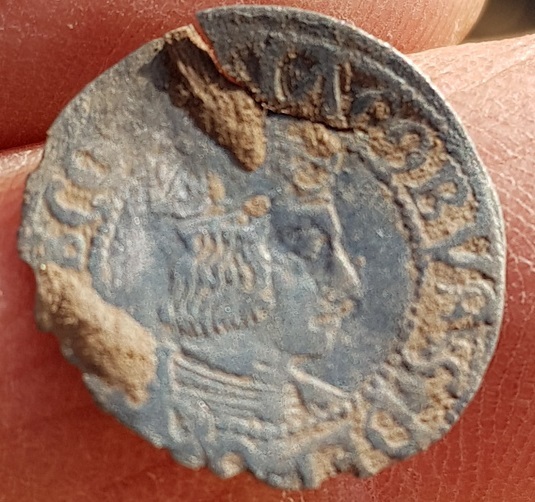 massive area we have to search has been detected only once and producing Roman, Bronze Age, Medieval, Scottish, & Tudor hammered coins from along with lots of later natural finds. Will we have ploughed and rolled – YES all MOST fields will be rolled along with some grass and stubble. Will we have a Snack Van – We have had snack vans at all our rallies so this will be no different. How do I record finds – I invite the Scottish Treasure trove unit to all our rallies but sometimes they have other business on the go. finds recording forms will be available at the rally so you can record your finds via e-mail.